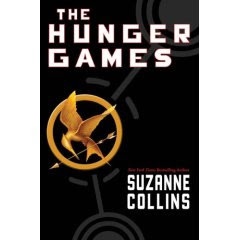 Set in the not-so-distant future where the government runs everything, a group of 24 teenagers from 12 different "Districts" (some as young as 12) are picked to participate to the death in the annual "Hunger Games." Told from the perspective of Katniss Everdeen, a teen who volunteers to participate to save her sister, this is a brutal but compelling tale. Who will win and at what cost? I know some people may think this book is a total rip off of the Japanese work Battle Royale, and while the two do share a lot of similarities, I'd say there are enough differences to merit reading Collins' work. What's nice too is that Hunger Games is Book 1 of the series, so it'll be interesting to see where it goes. At any rate, if you liked reading this, you might want to also check out the old Stephen King (Richard Bachman) novel The Running Man, which is set in the future and shares the same kind of "survive while the government tries to kill you" vibe.